If you have not paid your playing fees by the conclusion of Round 3, you will not be permitted to play any further games until the outstanding balance has been paid. Only players who have paid their fees in full are permitted to play in the 'firsts' teams. Acceptance of fees on behalf of the Club does not guarantee that there will be a playing position open. Refunds will be given in the event that a position is not available. The $50 contribution levy is a compulsory fee payable by all households. The levy is fully refundable at the end of the Winter season provided the household has contributed time back to the Club. Single member households must contribute their time on 3 separate occasions. Multi-member households (2 or more players) must contribute their time on 6 separate occasions. All time contributed must be confirmed by two Board members and recorded. You may elect to pay your fees by instalments, however, your fees will not be considered paid in full until the final payment has been made. To organise a Payment Plan, contact the Treasurer early as possible. Payment plans will be in the form of a written agreement. Failure to comply with a Payment Plan agreement will result in forfeiture and an immediate payment demand of the outstanding balance owed. Payment Plan requests must be submitted to the Treasurer by Thursday, 07 March 2019. Whilst the Club already provides flexible payment options, a member may find themselves unable to pay their fees by the conclusion of Round 3 due to an unforeseen circumstance. In this instance, the member may submit a request to the Board outlining their situation and a proposed payment plan for consideration as soon as practicable. Each case will be considered on its merits and each individual’s circumstances are different. Approval of the request by the Board is not guaranteed. The Board is to advise the member in writing of its decision. If the request is denied the Board must detail the reason for the non-approval. If the request is approved the Board must provide the detailed payment plan in writing and have a signed agreement with the member. In the event the member forfeits/dishonours the agreement they are to be suspended from all games until the fees are paid in full. Fees cover just about everything to do with the winter season. Training from January to September, up to eighteen home and away games, ground hire, public liability insurance and umpiring fees. The only additional costs are uniforms, any social activities and training sessions your coach may wish to conduct away from Bridge Road (e.g. swimming, gym workout). Finals are NOT included! If you are lucky enough to play in finals, you will pay $15 per finals game to help cover these extra costs. If games are rostered at the State Hockey Centre, your membership card (players age 10+) includes free entry. Make sure to activate annually and carry with you. Refunds for fees paid are paid at either a pro-rata rate, or by application of the casual rate to those games a player has played or was eligible to play, depending on the reason for the refund request. If you pay your fees by the due date and it turns out that there is not a team in the required age-group or skill level, then a full refund will be provided. Requests for refunds must be directed to the Board and should be made as soon as possible as refunds are processed from the date of application. For example: If you stop playing half way through the season and then ask for a refund after the season has finished then you will not be eligible for any refund. Full details can be found in the Club’s Refund Policy. 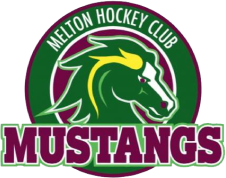 Account Holder/Name: Melton Hockey Club Inc. Please include your name as the reference; otherwise your payment may not be identified. Please contact the Club Treasurer once you have made a payment.